Donkey Kong Country 2 Beta; New Concept Art! So what can we see? Well, as far as the overworld goes, quite a few changes from the final game to be honest. 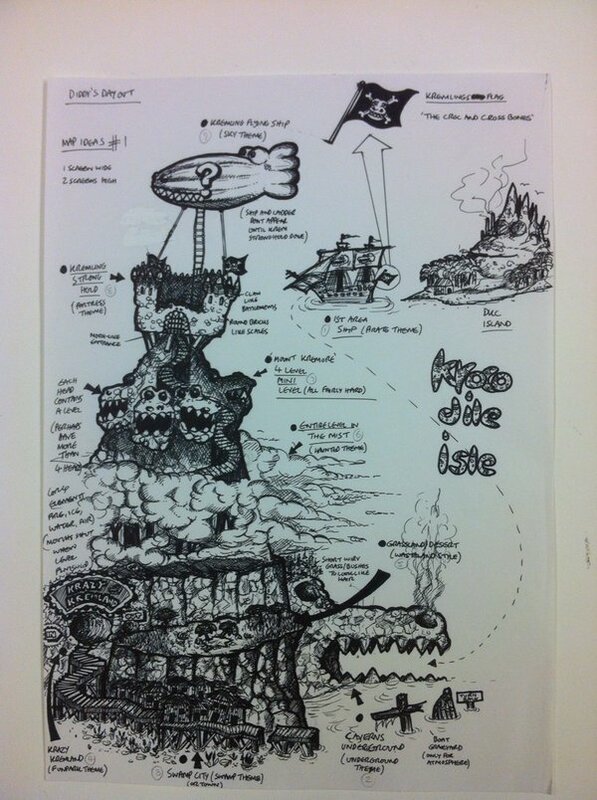 For starters, Kaptain K Rool’s airship is an actual zeppelin in this version of the map, complete with Rare’s trademark goofy eyes and a big question mark on the side. Maybe he was meant to be a Doctor Who fan in this version of the game? We also see an interesting concept for a mist level, where some sort of haunted area would take place in a part of the island filled with fog/mist, maybe like Silent Hill. Probably best to assume this area ended up becoming Gloomy Gulch in the final game. The flag was apparently named the ‘Croc and Cross Bones’. A desert/wasteland area was originally planned for the game, and supposedly took place on the stone Kremling’s nose. Krazy Kremland was part of the game’s design from somewhere near the beginning of development, since it appears in the concept art posted in the tweet. A ‘swamp city’ area was included in what was presumably an early version of Krem Quay. The whole place itself was originally called Krocodile Isle, to go along with the Kremling pattern of replacing any ‘c’s with ‘k’s in their names. As far as levels go, well, quite an interesting variety in the second picture. Some are obviously used in the final game, like the level where you swim through lava by temporarily changing it to water, or the pogo one with Rattly. But others… those seem to have been lost to time. Highlights there include a silhouette level (which didn’t actually appear in the series until Donkey Kong Country Returns in 2009), a level with an old school train handcart the characters drove and an area filled with steam pipes that could move the characters around. Either way, it’s an interesting look at an already amazing game, and it makes us wonder exactly what kind of cool stuff Grey and Rare might be showing off in the foreseeable future. But what do you think about all this unused content from Donkey Kong Country 2 on the SNES? 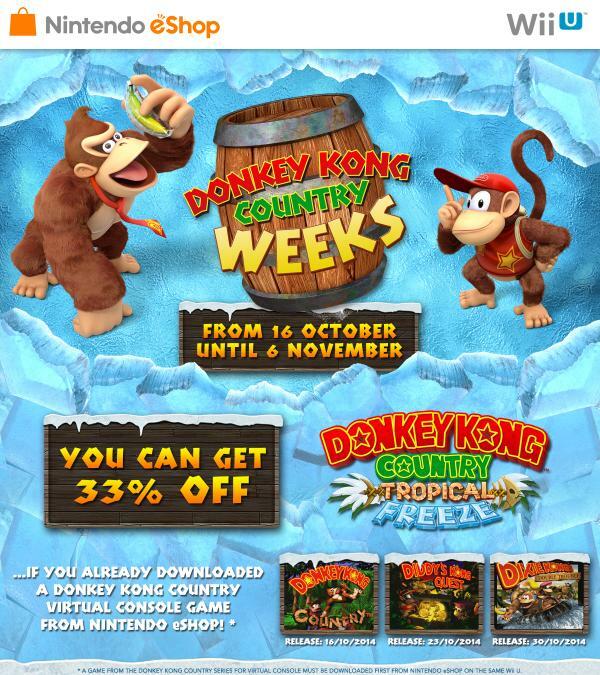 Donkey Kong Country and Donkey Kong Land games coming to Virtual Console!